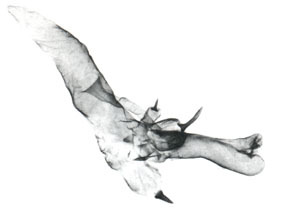 Cucullia lethe Poole, 1995, Moths of America North of Mexico, 26.1:50, plate 1, figs 34, 35 adults, plate D, figs 3, 4 male genitalia, plate H, fig. 6 female genitalia. Diagnosis: Cucullia lethe is a species known primarily from the eastern shores of Texas but ranging as far west as the central portion of the Edwards plateau and as far north as the Oklahoma border and southern Arkansas. It is superficially most similar to laetifica and is undoubtedly its sister species. The two species are readily separated, given good series of well prepared material, because the forewing of lethe is distinctly lighter in color than laetifica. 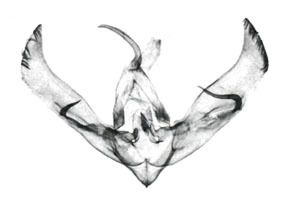 The male genitalia are very similar, although the claspers of both right and left valves tend to be larger and more contorted in lethe than in laetifica. The basal diverticulum of the vesica is y-shaped in lethe, not t-shaped as in laetifica. A small outpocketing exists in lethe near the end of the denticulate band at the base of the basal diverticulum; this outpocketing is absent or extremely small in laetifica. 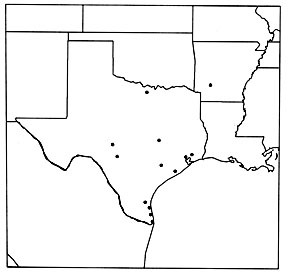 Distribution: Cucullia lethe has been most commonly collected along the eastern shore of Texas, but ranges as far west as the central portions of the Edwards Plateau and as far north as southern Oklahoma and Arkansas. There is no significant superficial variation, but a great deal of variability in the sizes and shapes of the claspers of the male genitalia. Adults have been collected in April and May and again in September and October. The species is apparently two-brooded. Foodplants: A specimen exists in the USNM reared from Amphiachyris dracunculoides, an annual composite, from Refugio County, Texas. However there are no associated larvae. 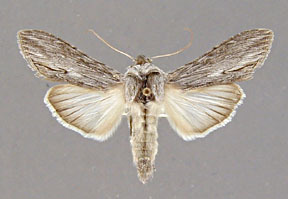 Cucullia lethe is superficially most similar to laetifica and is undoubtedly its sister species. 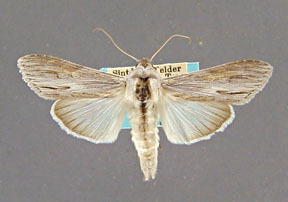 The two species are readily separated, given good series of well prepared material, because the forewing of lethe is distinctly lighter in color than laetifica. 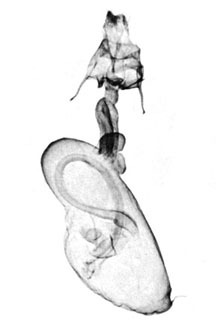 The male genitalia are very similar, although the claspers of both right and left valves tend to be larger and more contorted in lethe than in laetifica. The basal diverticulum of the vesica is y-shaped in lethe, not t-shaped as in laetifica. A small outpocketing exists in lethe near the end of the denticulate band at the base of the basal diverticulum; this outpocketing is absent or extremely small in laetifica.